This summer I participated in an internship at the Gaslamp Quarter Historical Foundation in San Diego, California. The Gaslamp Quarter Historical Foundation is dedicated to fostering the cultural, historical and architectural heritage of the Gaslamp Quarter, a 16 ½-block area designated as a National Historic District, through exhibits, tours, festivals and educational programs. The Foundation operates out of the William Heath Davis House, the oldest standing residence in the Gaslamp Quarter, which also serves as a house museum. 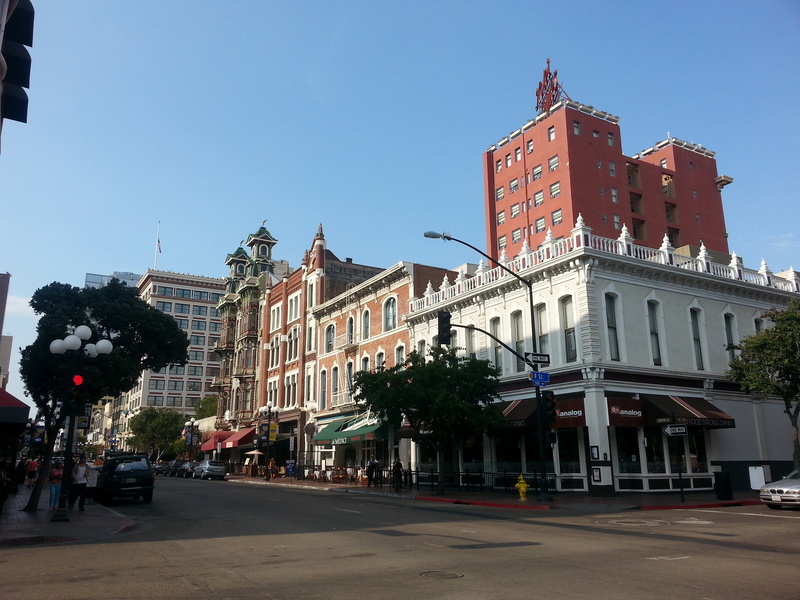 During my time with the Foundation, I helped develop a walking tour by conducting research on the cultural history of the Gaslamp Quarter, helped archive museum artifacts, created a map of significant buildings within the historic district, and helped with the day-to-day administrative work. Although this experience was not as fulfilling as I’d hoped, I did learn about some of the obstacles that are presented to those working in house museums. For example, where I interned, most of the decisions were made by a group of board members. The board consisted of retirees from other professional fields, and while they had the museums best interest in mind, this decision-making process often made it very hard to get anything accomplished and resulted in low productivity.